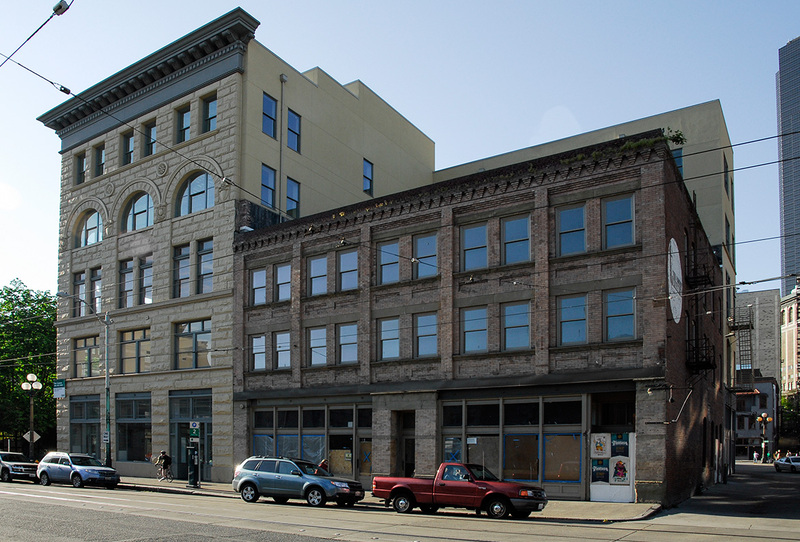 The current reincarnation of the Pacific Commercial Building involved rebuilding the top two stories, lost after Seattle’s 1949 earthquake. 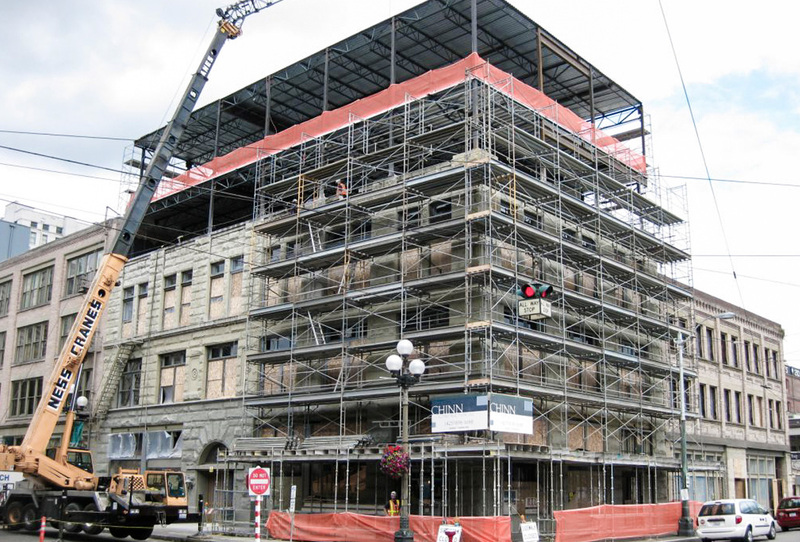 The process entailed intricate casting of the existing stone façade, inserting a new steel frame to support the additional stories, and refreshing the historic aspects of the building. 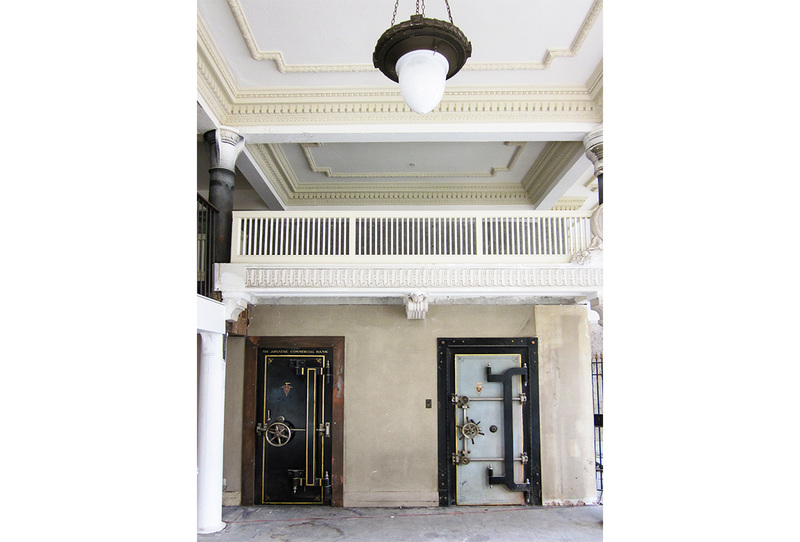 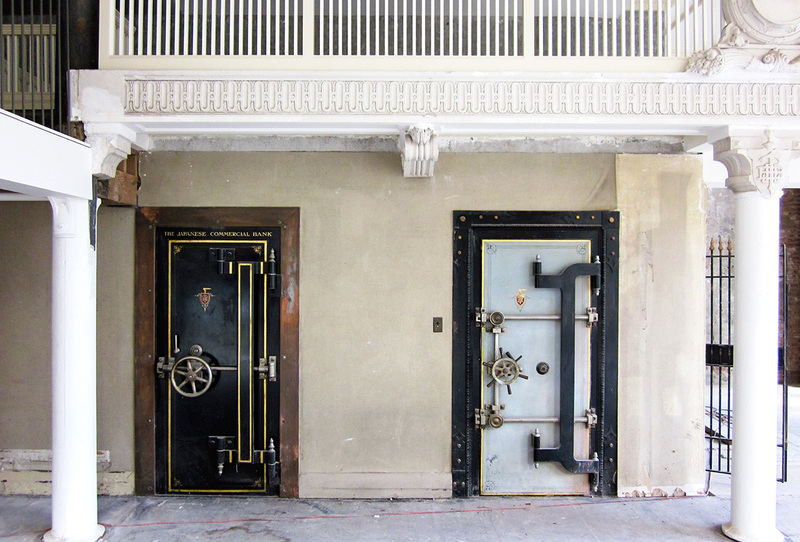 The result is rooms that display the building’s past through exposed brick, painted signs and vaults that were once the centerpiece of the Pacific Commercial Bank. 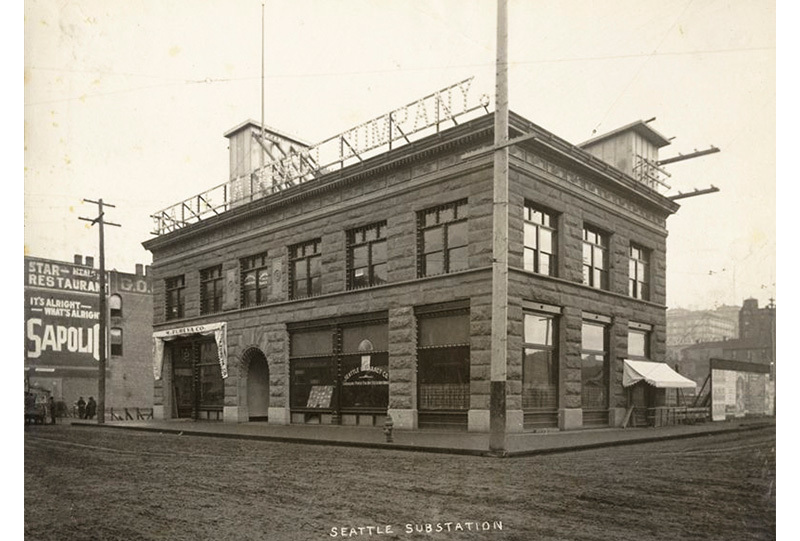 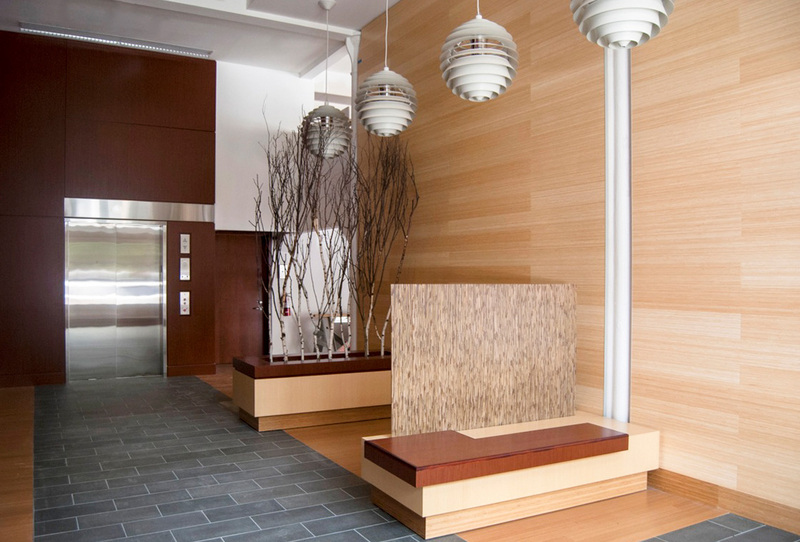 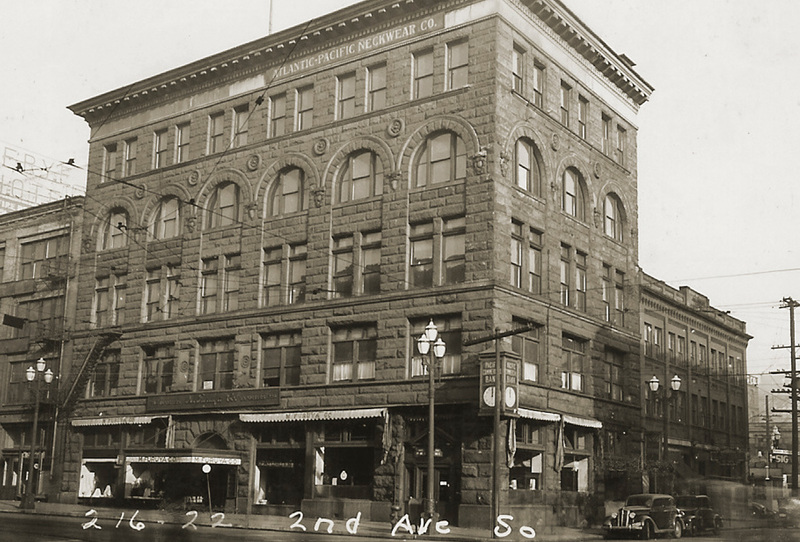 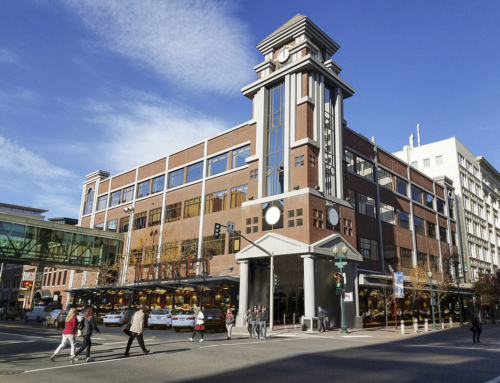 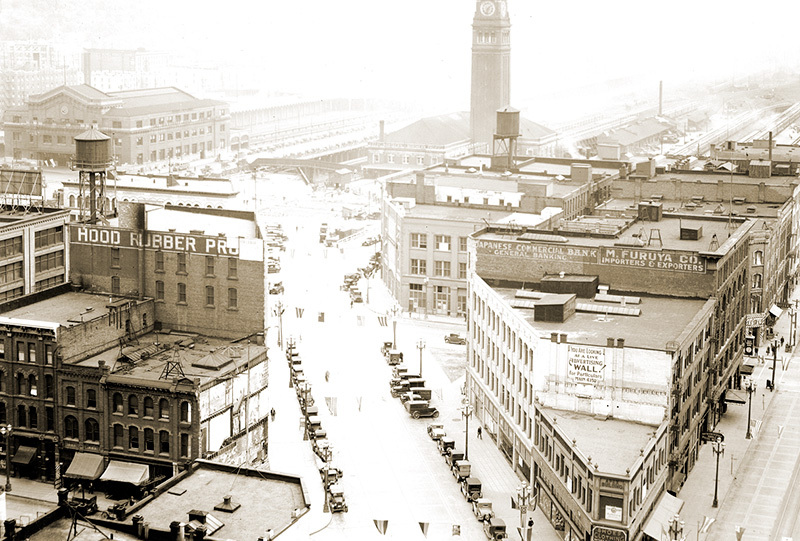 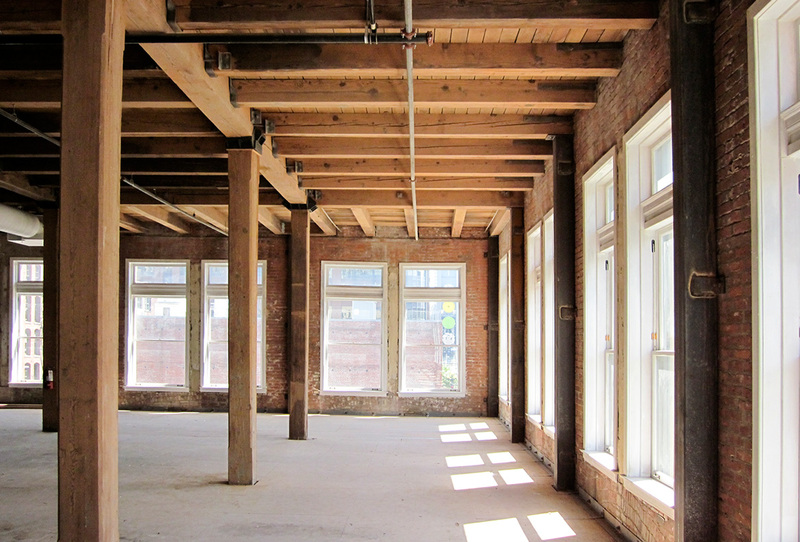 Built in the late 1800’s, the historic Pacific Commercial Building in Seattle’s Pioneer Square first served as a city power station until becoming home to one of the earliest and largest Japanese owned businesses in the US—the M. Furuya Company. 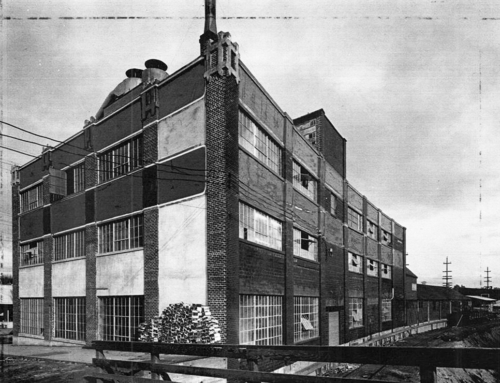 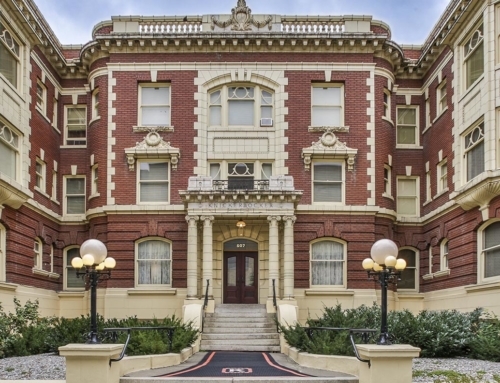 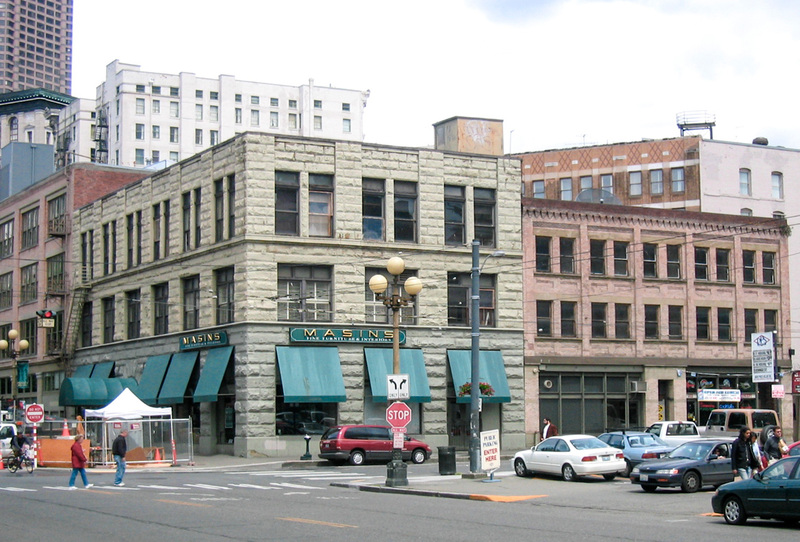 The original two-story building grew to five stories in 1905 before it losing the top two floors in the 1949 earthquake. 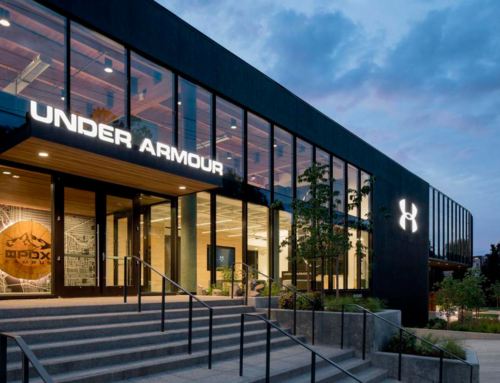 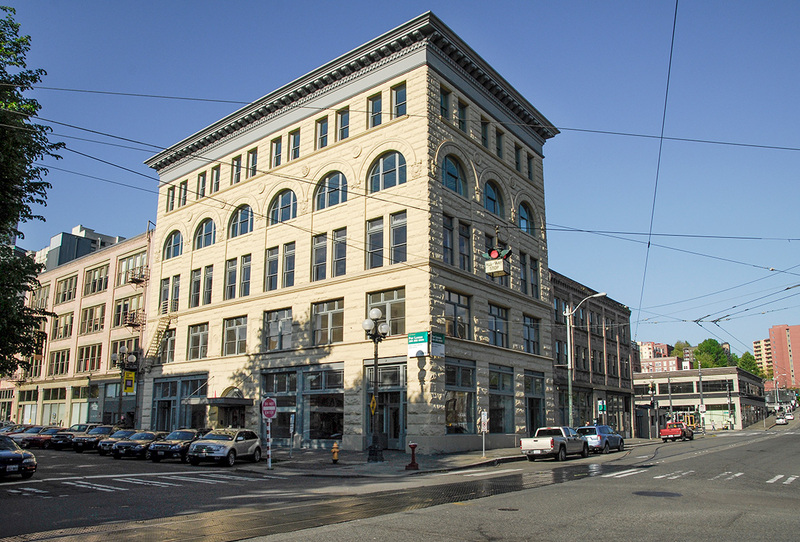 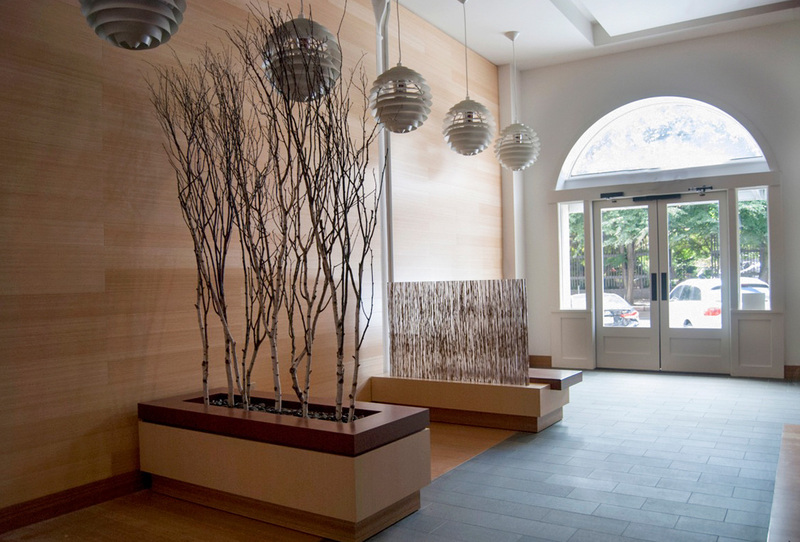 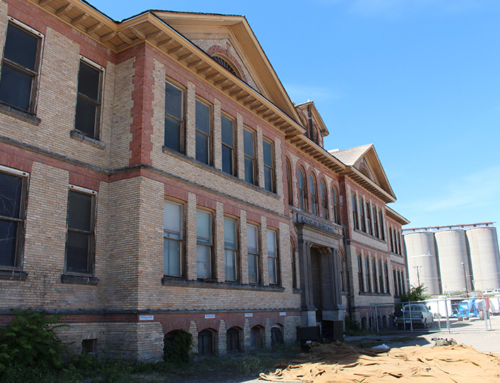 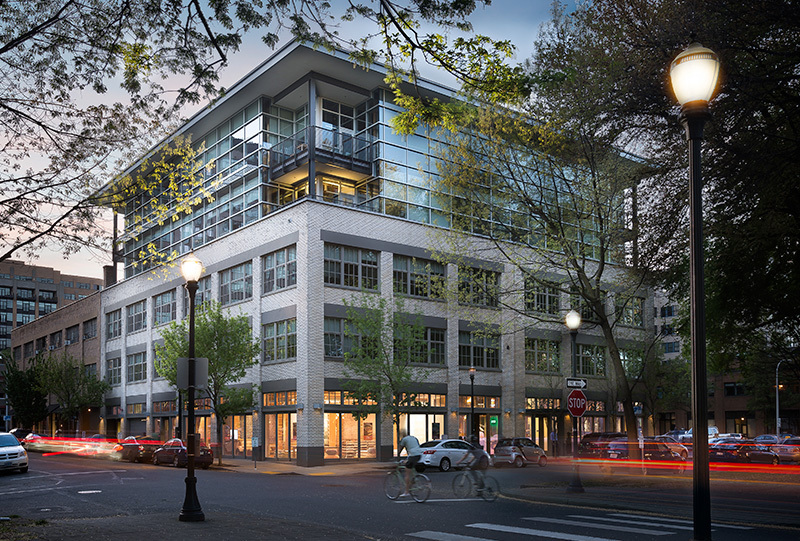 The project utilized funding from historic tax credits and new market tax credits to restore the 120-year old building to its historic prominence and was recognized as the winner of Seattle’s annual preservation award 2010.